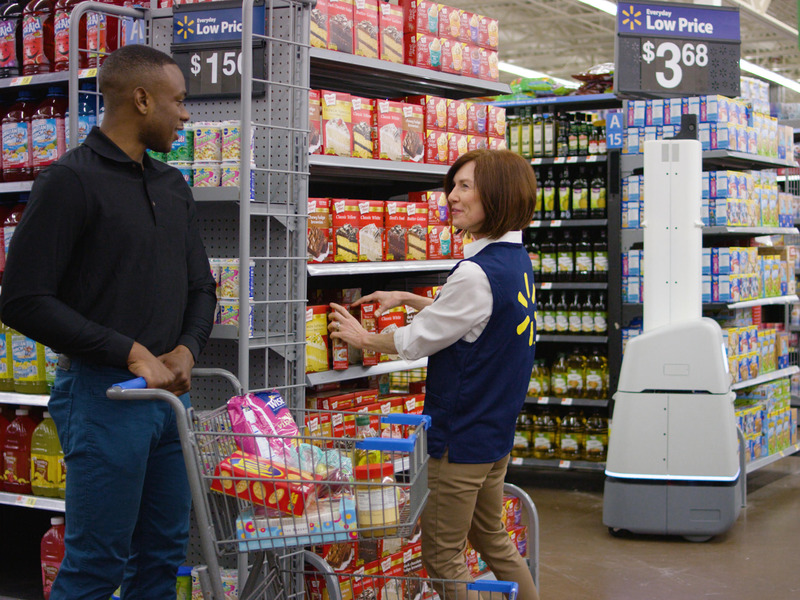 WalmartWalmart deployed bots in some stores that can help employees keep items stocked. 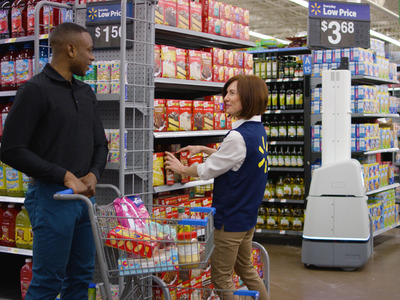 Walmart is developing a store with no cashiers, according to a report in Recode. It’s similar in rough concept to Amazon’s Amazon Go store. It’s being developed by Walmart’s secret Code Eight team, a part of their Store No. 8 tech incubator. The future of shopping is inching closer. Walmart is heads down on their Code Eight project, according to a a new report in Recode. It includes a new vision for the store, called Project Kepler. Sources tell Recode it uses high technology like “computer vision” to track and charge for purchases without the use of a traditional cashier. Few details are available, but the initial sketch of the idea sounds very similar to Amazon’s Amazon Go store, which uses tracking cameras and machine learning software to charge customers for things they take off the shelf and needs no cashier. Recode also reports that Walmart is testing tech-heavy personal shopping service geared toward higher income “busy” mums. It allows customers to buy products or get recommendations simply by snapping a picture and sending it to the company. Walmart will likely charge a membership fee for some of Code Eight’s new projects when they roll out, Recode said. Walmart did not respond immediately to a request for comment.